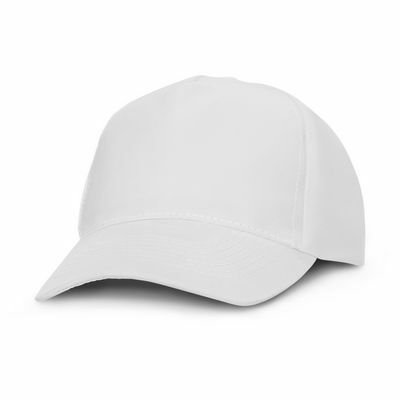 Structured five panel polyester cap with embroidered eyelets, a pre curved peak, a sweat band and an adjustable Velcro fastener which allows one size to fit most people. 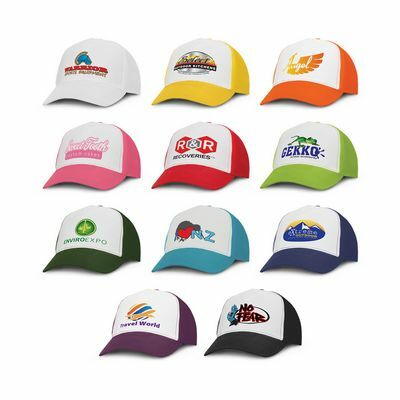 Specifically designed for high definition multi-colour and full colour branding. Colours: White, Yellow, Orange, Pink, Red, Bright Green, Dark Green, Light Blue, Dark Blue, Purple, Black. Dimension: One size fits most people. Print Description: Front - 90mm x 50mm. Print Type: Screen Print. Packing: Loose packed. Embroidery pricing valid up to end column quantity. Please contact us for quotes above this. 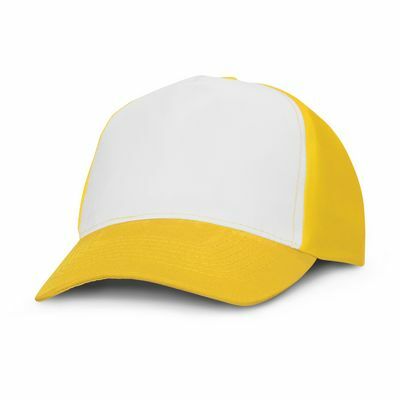 Colours available: White, Yellow, Orange, Pink, Red, Bright Green, Dark Green, Light Blue, Dark Blue, Purple, Black. Decoration Area: Screen Print Front - 90mm x 50mm. 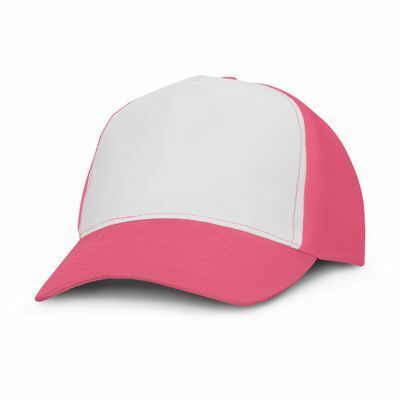 |Sublimation Print Front - 90mm x 50mm.|Embroidery Front- 120mm x 55mm.